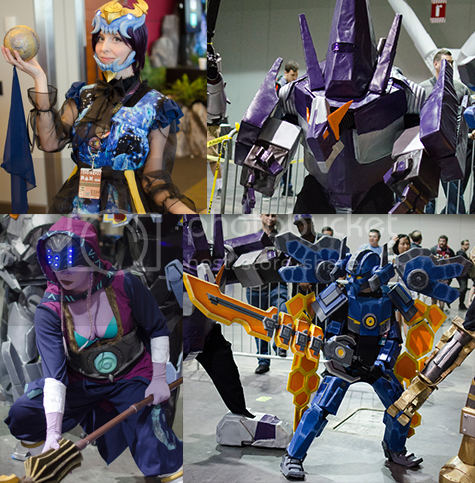 ﻿ Riot and League of Legends Returns to PAXEast 2016! Riot and League of Legends officially returned to PAXEast this year in full force with an abundance of events for attendees; the Riftwalk, a concert featuring Nicki Taylor, the cosplay showcase, and even a surprize exclusive invite-only cosplay party that was held INSIDE the Riftwalk for League cosplayers. Check out the entire story below and stay tuned for a LEAGUE OF LEGENDS GIVEAWAY!!! What is the Riftwalk you ask? 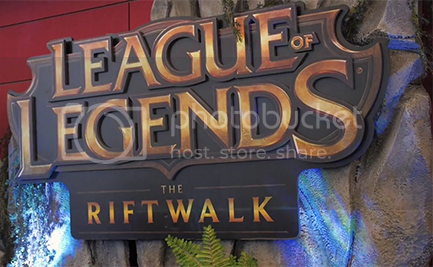 It is an exclusive attraction set up by Riot to showcase mutiple sides of League of Legends. Within the 2-3 rooms that Riot took over, you find a multitude of things to view and participate in. Upon entering, its like a whole other world, set up with grass and trees. You are guided to stations where you can view modeled busts showing the reworks of Poppy, Gangplank, Sion. Fan art and the creation of some of the other models were also shown. 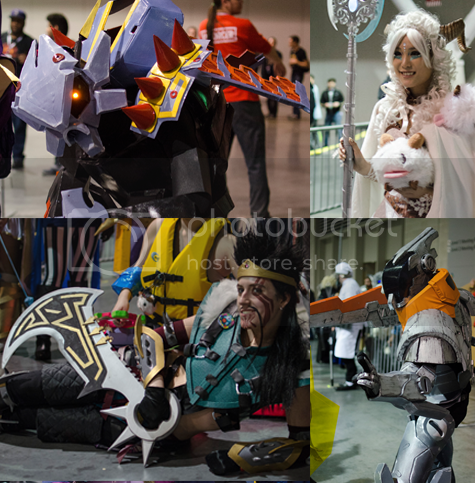 Also present were stations for you to take pictures with Katarina's, Sivir's and Jinx's weapons. 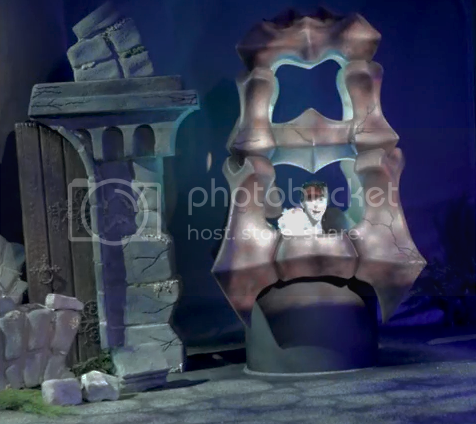 One of the main attractions of the Riftwalk was the chance to create a 180° view of yourself attacking Baron. Quite amusing I must say. PORO ATTACK!!!! At the end of the adventure is Thresh. Unfortunately, Thresh was down on the Exhibit hall floor when I ran through the Riftwalk (see the World Collide video below). I didn't get to have my picture taken with him, but the cosplay done for Thresh was amazing. I did however take a picture in Thresh's Lantern. LOL. Riot showcased Nicki Taylor on the uLoL showcase stage for two songs, Get Jinxed and Worlds Collide. Nicki sounded amazing, don't get me wrong, but a lot of the attendees thought she would perform more than two songs, including myself. This is something I found out about while at PAXEast. Riot were giving out Poro buttons to cosplayers for this exclusive party that was held INSIDE the Riftwalk, with free alcohol and food. Good times right?!? Hells yes! End all, Riot being back at PAXEast was an amazing thing. So many things to be involved in and the community of cosplayers just makes you feel so welcome. Welcome back Riot. Welcome back. Check out some of the amazing cosplays below!